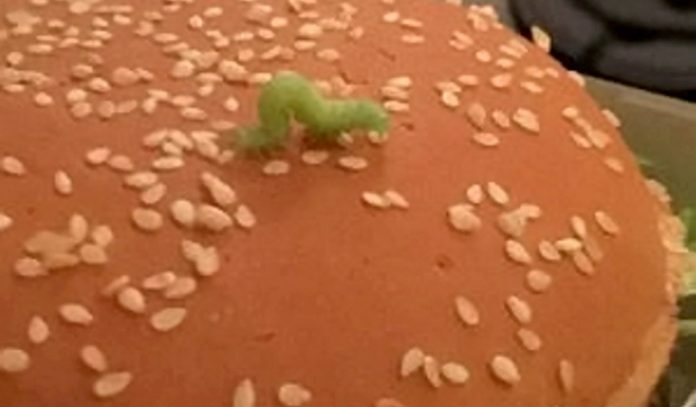 A dad got a shock when he found a very hungry caterpillar in his McDonalds – taking bites out of his Big Tasty burger. Darren Bailey was left scratching his head after noticing the tiny green bug wriggling around on top of his burger bun – taking nibbles out of his dinner. 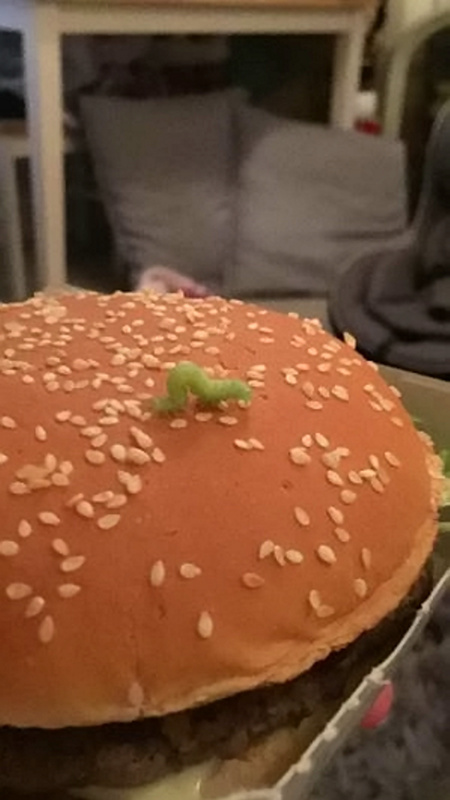 The 27-year-old had ordered a delivery from his local McDonalds in Bromley, south London, with his pregnant wife and their child when he noticed the cheeky caterpillar munching on his 460 calorie burger. Darren Bailey and Amy Sandford. Video footage shows the brazen larva shuffling happily across the sesame bun, and chowing down on the tasty treat – before doing a little ‘dance’ whenever it took a bite. 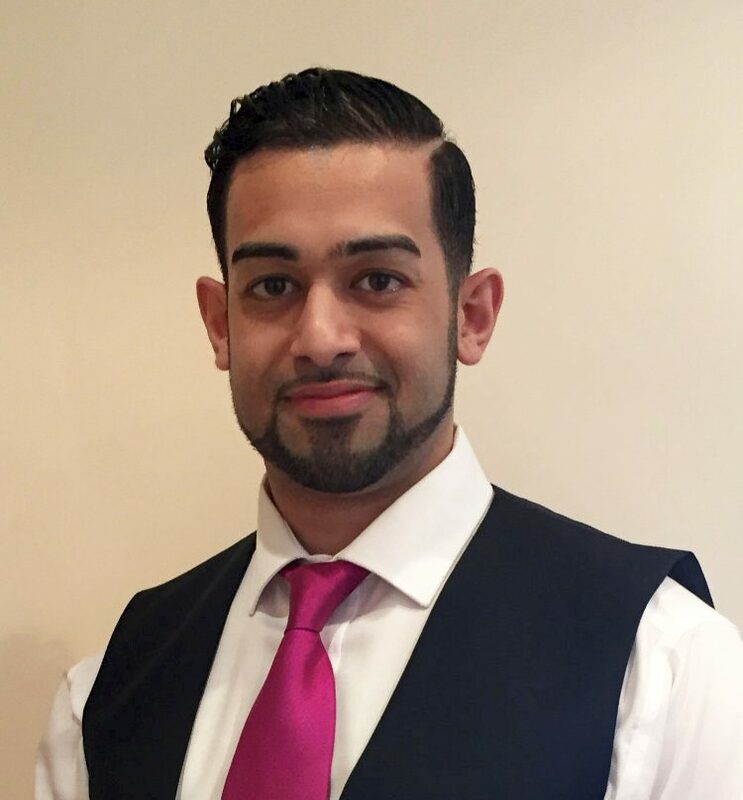 The broker clerk from Bromley said: “We decided to order some McDonald’s and ended up getting more than we bargained for. “We were sharing some chips and then my partner went to open the Big Tasty burger. “At first we thought there was it was a piece of lettuce but then it started moving. “We realised it was a caterpillar and just stared at it for about 20 seconds. 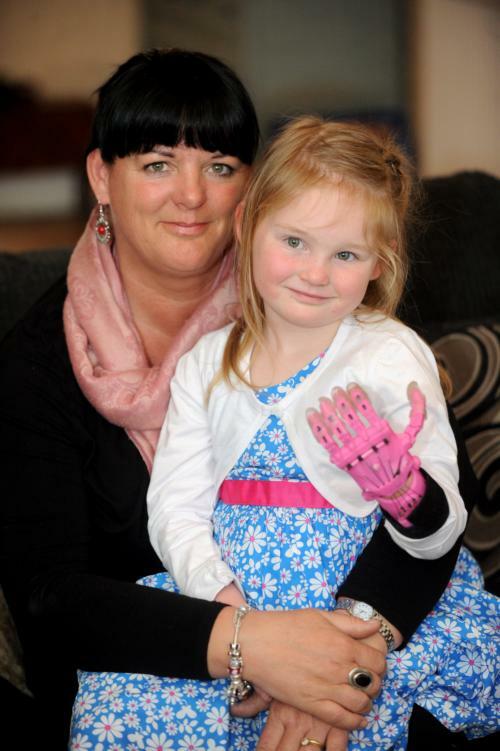 “Then my missus noticed tiny bite marks all over the bun – it looks like it had been nibbling away for a while. “I couldn’t believe it – I’ve never seen anything like it, and I’ve got no idea how it got there. “At first it was just sitting there but then it started to move around taking more bites. 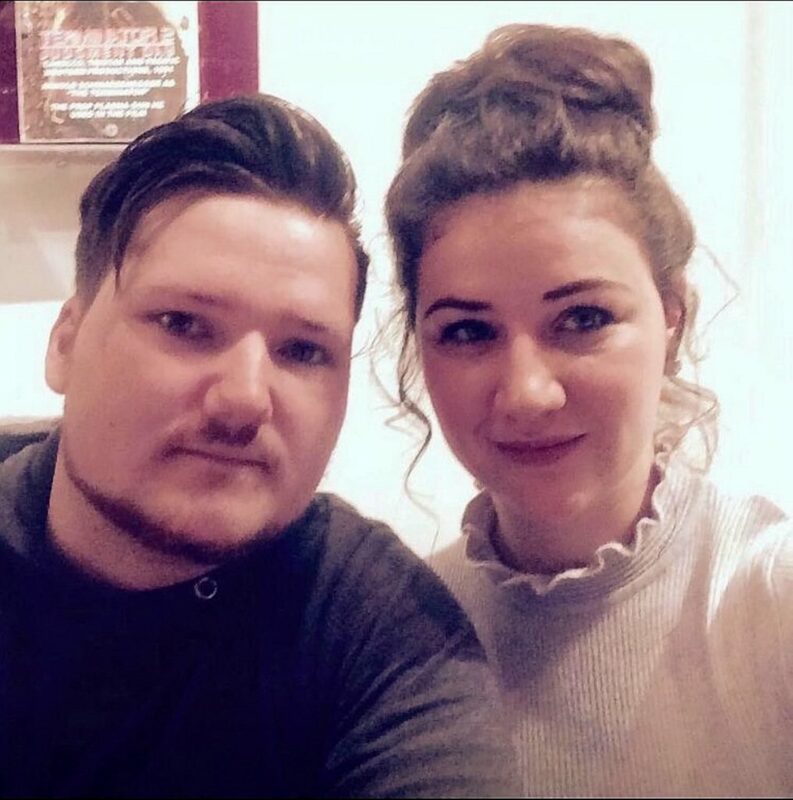 Darren’s partner Amy Sandford was having none of the two centimetre-long bug’s nonsense and threw both the burger and caterpillar in the bin. Darren said he emailed McDonald’s to complain about the meal, last Friday, and sent a letter to delivery company UberEats which refunded him. A McDonald’s spokesperson said: “Food quality and safety are of the utmost importance to us. “We place great emphasis on quality control and follow rigorous standards in order to avoid any imperfections.